- Brand new upgraded metal gears makes your VISUO XS809W XS809HW XS809 rc drone work more smoothly. Ensures quieter flights and longer flight times. - Very ultra durable and super stable performance. Size:120x80x30mm/4.73 x 3.15 x 1.2inch. 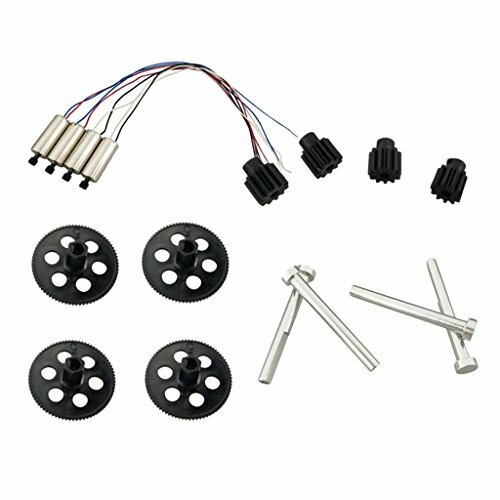 Brand new upgraded metal gears makes your VISUO XS809W XS809HW XS809 rc drone work more smoothly. Ensures quieter flights and longer flight times. Very ultra durable and super stable performance. Propel Cloud Rider HD 2.0 Streaming Quadcopter Drone for Intermediate Skill Level Pilots! 17 Inch Span! 2 Free Batteries & Micro SD! VR Headset Compatible!